Before you ask, the answer is no. 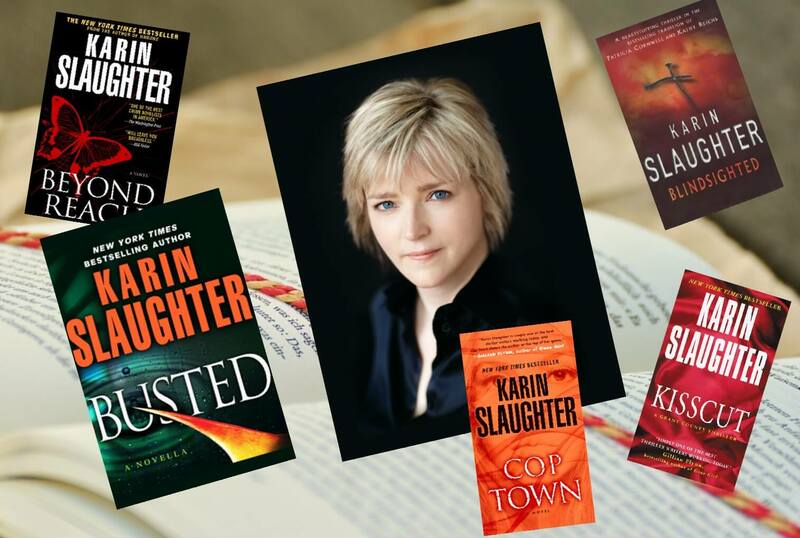 Thriller author extraordinaire Karin Slaughter did not pay me to write this list. I’m simply a reader and fellow author who worships her from afar for her incredible writing abilities. And, okay, also for her awesome Caturday posts on Twitter. (No-brainer, right?) Why do I love her stories so much? Why do I want to be her when I grow up? Here are my top ten reasons. Best psychological thriller ever written. Ever. She writes romance and doesn’t even realize it. Neither do her fans. My name is Lena Diaz and I write romance novels. There. I said it. Okay, to be clear, I write romantic suspense, which is basically a thriller with a central love story. So does Karin. And her fans love her stories without even realizing they’re basically reading romance novels. Go, Karin! Her name – Karin Slaughter – is perfect for a thriller writer. And it’s her real name! My husband thinks she’s cute. So she’s a blue-eyed blond with a charming Southern accent. Big deal. I have blue eyes. I can dye my hair. I even had a charming Southern accent when I was a kid (living in Florida beat it out of me.) Still, I have to admire an author who has “the look” along with a brain. Great for marketing. Excuse me while I go buy some hair care products. She did a bad, bad thing and got away with it. No spoilers, but if you’ve read Karin’s Grant County series, you’ll know what I’m talking about. Karin did something unforgivable. And everyone was okay with it. Okay, I wasn’t okay with it. I stopped reading her books. Then she wrote Pretty Girls. Best. Thriller. Ever. I forgave her. word? Not easy. Somehow Karin has figured out the perfect blend of qualities to create heroines her readers love. Normally if an author leaves gaping holes in a plot, the book is a wall-banger (messy and expensive if you’re using an eReader, just sayin’). Karin’s plots? Mostly, they’re complex and great. But some have huge plot holes. It doesn’t matter. Her writing is enthralling. They say to make it as an author these days, you should write books connected in a series. Karin has two wildly successful series with characters that cross over to both of them. Brilliant. Did I mention Pretty Girls? Saying I like this shocking, dark, gritty, disturbing, graphically violent book feels kind of…weird. But I do! Plot holes? It’s one of the most unrealistic plots I’ve read, but I don’t care (see number 8). Pretty Girls has mesmerizing characters and is an emotionally charged story. It’s a family saga, showing the effects of a horrible crime on three generations of women and how they overcome that trauma and find closure. It’s about betrayal, revenge, justice, and ultimately, healing. The structure of this novel is exactly what you want in a psychological thriller. Perfect pacing. Perfect pairing of a story from the past told in epistolary excerpts that mirror what’s happening in the present until both stories merge in an exciting, surprising climax. And that’s the best part, that huge “aha” moment when it all comes together. Wow. Just thinking about it makes me want to read it again. For the fifth time. That, more than anything, is why I want to be Karin Slaughter when I grow up.